The Forex pairs are often offering long trends and are lucrative for trend followers. 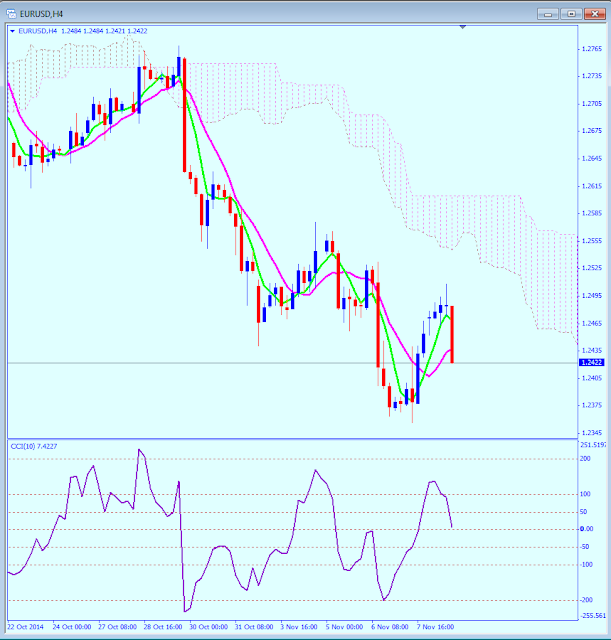 Using the 5 – 10 crossover scan to detect changes on the daily and the 4 hour charts offers several opportunities in a week. Of course, it is not profitable, long term, to depend on this strategy, this is a means of seeing what may be happening to individual instruments. There are numerous indicators that will help a person determine validity of an entry. On the chart I have shown the Ichimoku Cloud and CCI, those may or may not be of value to an individual. I would think that a trailing stop is a necessity on every entry as reversals can come quickly. I am providing a scan on a regular basis to the readers in order to point out any significant 5 – 10 crossovers on the daily and 4 hour charts. The lower time frames would be unsuitable for this type of scan as the choppy periods and consolidation periods occur far too frequently. Unreliable for faster time frames. 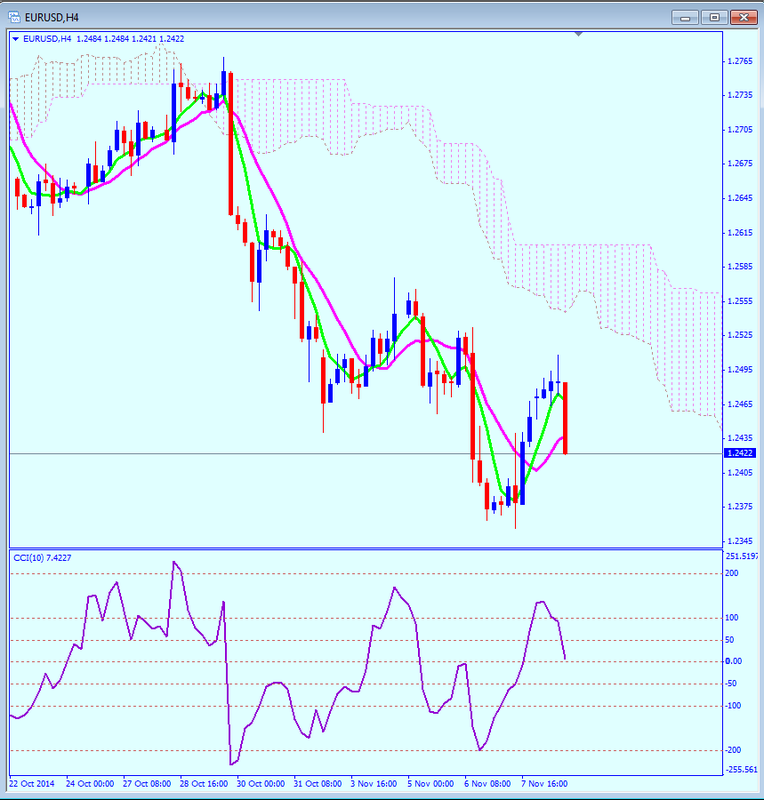 Here is a video discussing moving average crossover trading strategy.